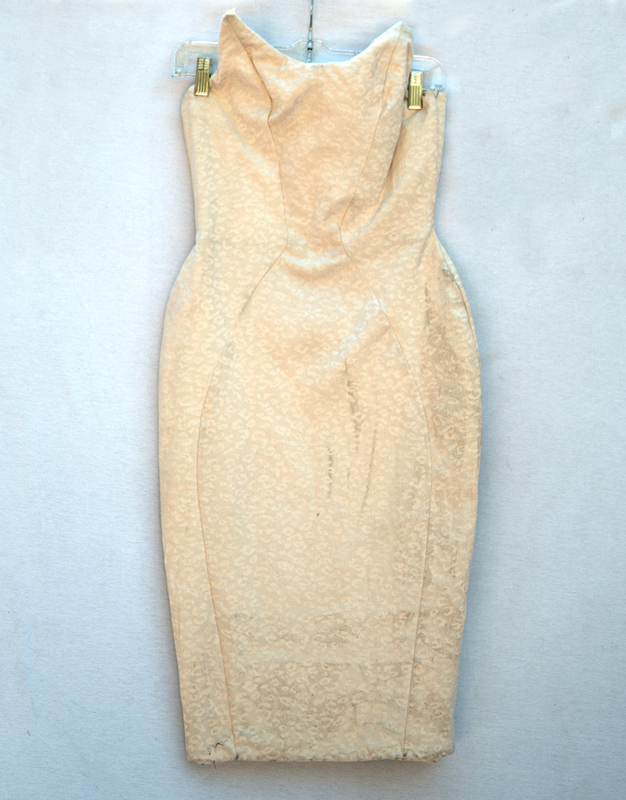 Ivory dress with leopard texture. Made for a larger bust. Side is damaged. Size 2/4. This is a sample item. It has been worn and is sold as-is. There may be damage and signs of use. All sales are final. No returns or exchanges. If you have any specific questions about this item, please contact us before ordering.